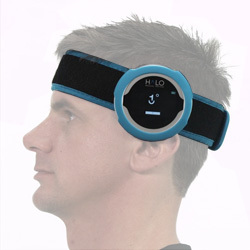 The HALO Strap Kit allows for hands free operation. The HALO Goniometer conveniently fits into the protective rubberized shell and attaches to the varying lengths of Velcro straps. Protective rubber shell is included with Velcro strap lengths of 13.5", 22" and 31".